A 3.5 x 2.5 house shaped magnet will instantly catch viewer’s attention because house is always dearer to everyone’s heart. 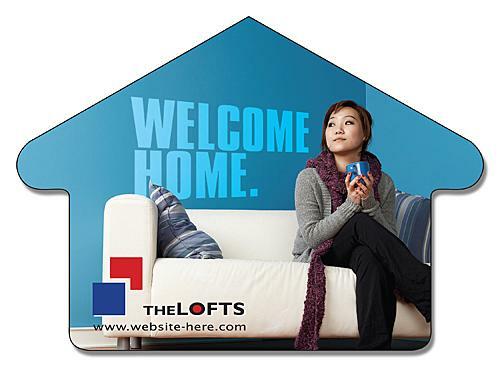 This outdoor safe magnet can be utilized by architects, realtors, and realtor agents to advertise their business. It requires lowest payment of $0.26 to customize this magnet, if the advertisers are seeking it in large numbers. If the advertisers are ordering this magnet in low numbers then they may have to pay $0.68 to customize it. Product Size: 3.5 in. x 2.5 in.